We’ve made a direct comparison between Anti Slip Bath Stickers and Anti Slip Bath Mats. We’ve looked at the pro’s and con’s of each, to make it easy for you to establish what would make the best bath mat solution for you. Easy to clean, just wipe with a cloth as part of normal bath cleaning routine. vs Hard to clean underneath. Often collect dirt & grime. PVC coated so they do not develop mould or mildew. vs The nature of the material used to make a bath mat makes it susceptible to mould and mildew when in a damp environment. Mould resistant bath mats are available. One off cost (from £9.99 per pack as part of multi-buy) vs Ongoing cost of replacing bath mats as they deteriorate. Stay permanently in place and last many, many years. vs Bath mats need replacing from time to time as they deteriorate. You can use as many or as few stickers as you like to create anti slip coverage on as much as your bath or shower tray as you like. vs You can buy mats suitable for baths or showers. Full length bath mats are available. Excellent slip resistance and foothold. vs Excellent slip resistance and foothold. Make sure the edges of the bath mat are stuck down firmly to prevent a trip hazard. Fitting the bath stickers takes around 5 mins initially, then they remain permanently in place. vs A bath mat can be simply placed down whenever needed. 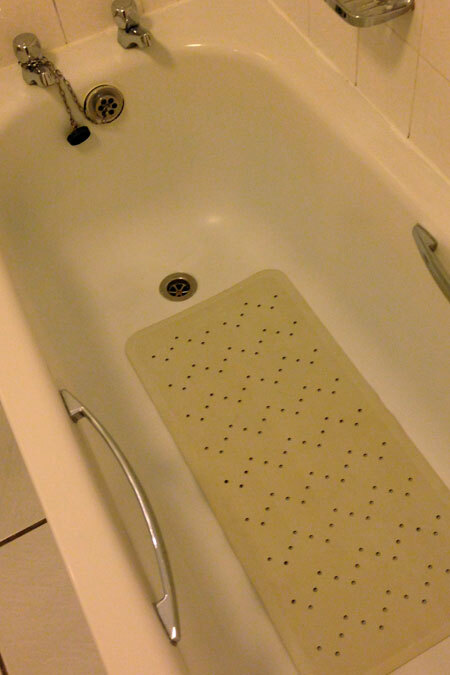 For some older people or for those with disabilities it can be difficult to put the bath mat in place however. Can be removed from bath if no longer required. See video for full details. vs Easy to discard when no longer required. 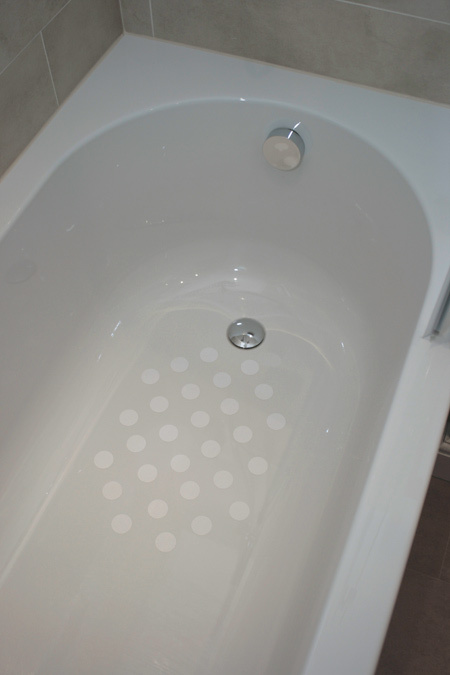 Check out what our independent experts and customers have said about Anti Slip Bath Stickers. Anti-Slip Bath Safety Circles could drastically reduce the risk of slipping in the bath, shower or wet room..